I will be sharing with you all everything that is in the Smiggle Advent Calander this year. If you don't want to know than don't read any further. 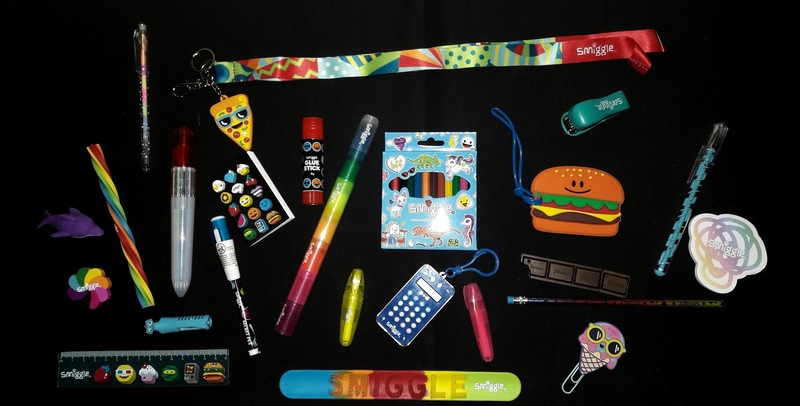 First of all if you've never heard of Smiggle or don't know what Smiggle sell they are a stationery brand that sell a wide range of cool and funky products. We actually have a rucksack for Blake from there which is an amazing design and great quality. Countdown to Christmas with Smiggle's popular advent calander. 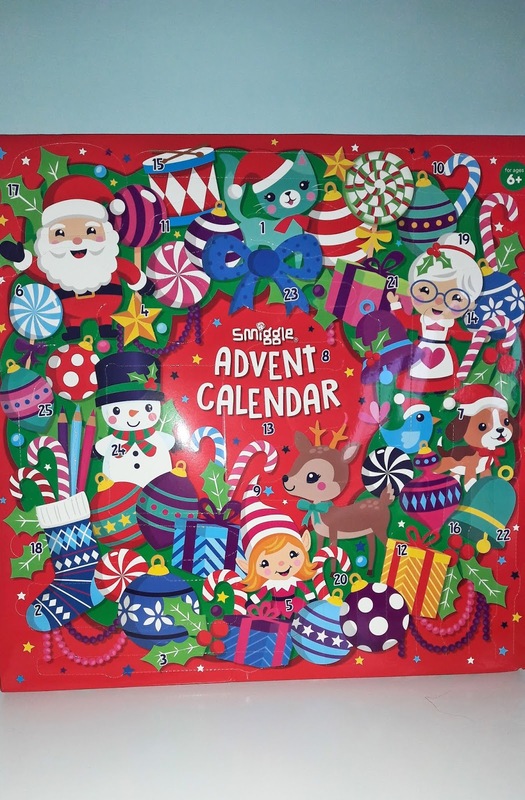 Unlike most advent calanders the Smiggle advent calander has 25 doors so you have 25 days of goodies to look forward to with even one to open on Christmas day! The calander retails at £25 and is suitable for children 6 years and over so ideal for school aged children. The calander contains items that value to £40 plus so you are getting a bargain. The calander is slightly hard to open so children will most likely need a little hand each morning. 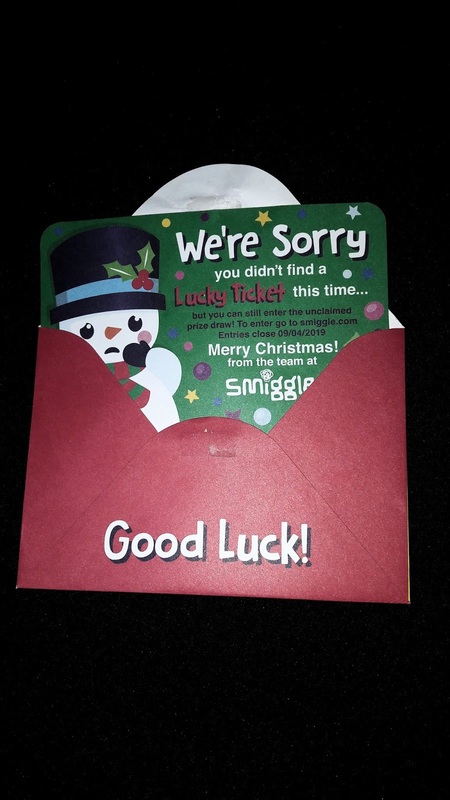 Along with the advent calander you get a little envelope stuck to the back where you have the chance to find one of twenty five lucky tickets and win a £500 shopping spree in Smiggle! So the photo below shows every item that is inside the calander there are a good selection of pens, pencils, rubbers, rulers, a keyring, a glue stick, highlighters and more. As usual with Smiggle all of the items are bright and colourful with quirky designs. I decided not to share which door each item is behind so if you plan on getting the calander there will still be an element of surprise. There are definitely a mixture of items that both Blake and I will use from the calander and i can see school aged children and teenagers having them all in a pencil case to use. So it's an advent calander that will suit a mixture of ages. If you get hold of the Smiggle Advent Calander this year I'm sure that the recipient won't be disappointed. * We were sent the Smiggle Advent Calander in return for an honest review. All views and opinions are 100% my own. Saw them and was wondering what was inside. It's really good better than chocolate. Awww I just wish it was a bit more affordable. I was made redundant following my mastectomy and its such a struggle to be able to afford things this year. £25 for an advent calendar is just too much.